WooCommerce - Hide shipping rates when free shipping is available. Is it possible to remove one of the shipping options and not all of them if free shipping is available? @jamiet @pasztig: I've expanded on the provided function to hide all shipping options, except a custom shipping option I've added through a plugin. @Sjouw You are an absolute king! Really saved me a headache as I had to still show "Local Pickup" with free shipping. Also to confirm, I used the label instead 'My custom shipping option name' === $rate->label and it worked perfectly. Thank you very much. Thank you Sjouw, yours is the 1st version I've found that allows me to hide only one specific shipping method in Woocommerce when free shipping is implemented instead of all other shipping methods. Thank you for sharing! I have Local Pickup, Free Shipping and USPS as options for Local Shipping Zone. To get Free Shipping, the customer has to spend at least $50. I added the following code but it still doesn't show an option for Local Pickup, what am I doing wrong? // Restore free shipping rate. // Restore local pickup rate. @masjo this dose not work. I use two shipping Zone with different Minimum amount to get free shipping. the Name of one shipping Zone is national and the other germany. 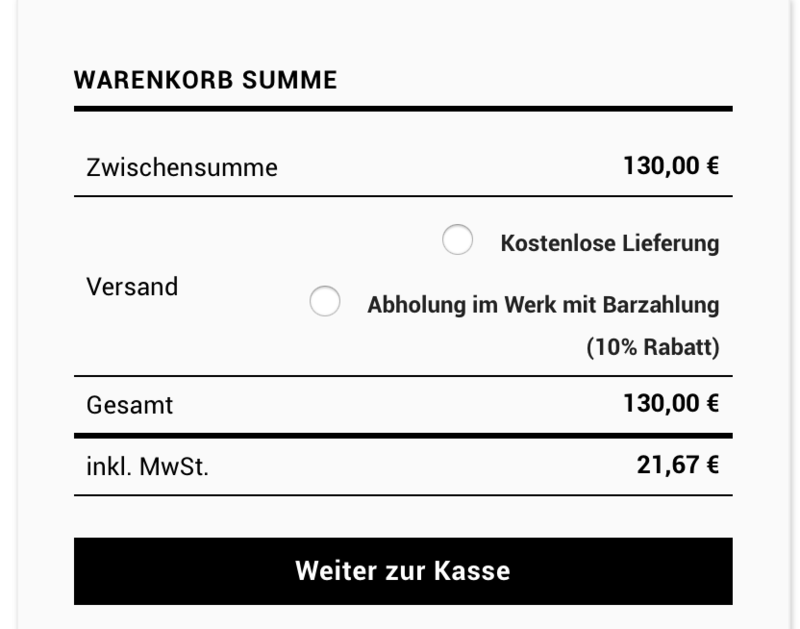 When a customer will order 49 euro in shipping Zone national it will be free shipping but when a customer in Germany must order 100 euro to get free shipping. I noticed that it will work automaticle. I forgot to add a free shipping in the Germany Zone. Customers get "Free Shipping" on orders above $100 but No 'Free Shipping' if 10% cart discount coupon code is used. a) For orders above $100 the express shipping is not showing along with 'Free Shipping'. @masjo works very great!!!! thanks a thousand time. what i now need that the free shipping the first option is selected by default (at the moment none of the shipping mehthods are seleced. Is for 1 local pickup, but how to change this function for keep 2 local pickup ? How would I hide other non-relevant shipping methods please? So if shipping for 1-3 items is $7 and 4-8 is $10, how would I hide the shipping option for $7, if the buyer has chosen 4-8 products please? I added a field to categories to store a date. Using this same code, I exclude Flat_Rate option when the date in the custom field is greater than the current date. May I ask why it's not considered a given that other shipping methods would be hidden if free is available? What would the case be where you would want other shipping methods to choose from? I can only think it may to do with expedited delivery options. Is that correct?